The history of secret books – smuggled out of prisons and countries, and sometimes even into them – is just one proof of the power of the written word to challenge, disrupt and resist authoritarian regimes and dogmatic censorship. This was the case in the past, and is still very much so in the present: Sarah Dillon, presenter of Radio 3’s Literary Pursuits: E M Forster's Maurice, lifts the lid on Six Secret Smuggled Books. Joyce’s seminal work of modernist literature was first published in serialised form in the literary magazine The Little Review from 1918 to 1920, but it was subsequently banned in the States and then in Britain after the New York Society for the Suppression of Vice filed obscenity charges. It was first published in book form in Paris, from where readers, including Anthony Burgess, sourced their secret copies. Curiously though, in 1933, one copy of the book was smuggled into the US on behalf of Random House founder Bennett Cerf, precisely in order that it would be found, and a legal challenge to the ban could be mounted. 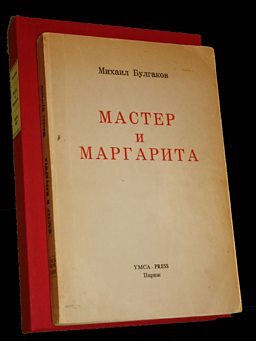 Written between 1928 and 1940, Bulgakov’s satirical masterpiece was eventually published in Russian in 1967, but only in a censored version with a significant percentage of the text removed. Meanwhile, a samizdat [clandestine] copy, containing all the missing parts and notes on changed passages, was printed and circulated by hand in the tradition of dissident resistance activity seen throughout the early 20th century. The book circulated so widely that people used to speak in sentences from the novel, a secret code dividing those who had read it and those who hadn’t, marking not just cultural difference but radical political division. Pasternak wrote Doctor Zhivago on paper inherited from a friend and poet who was tortured and executed by the Soviet regime. He honoured his friend’s memory by writing a novel that defied the official demand that literature should glorify the revolution. With publication in Russian prevented, Pasternak used visiting Italian, English and French friends to smuggle copies out of the country. But Doctor Zhivago was also one of the many books that the CIA smuggled into the USSR as part of its propaganda drive against communism. A specially commissioned Russian-language version was printed in Washington in a pocket-sized edition, the more easily to secrete it about one’s person, in food cans, and even in Tampax boxes. It is well known that Anne Frank’s diary was a secret book, that it was written during the two years Frank was hiding in a secret annexe to a house in the centre of Amsterdam during the German occupation, that it was found in the floor of the annexe and protected until it could be published. But it is perhaps less well known that in its long afterlife this secret book became a smuggled book, with Anne becoming a role model for others in desperate situations of political persecution. In fact, Nelson Mandela described how the diary was smuggled into South African prisons during the years of apartheid, giving inmates the will to survive their ordeal. In October 1952, a clandestine novel was smuggled from King's College, Cambridge, to Los Angeles. Everyone involved risked imprisonment including the famous author, whose reputation was at stake. The book’s name was Maurice, its author E M Forster, and its plot the usual fare of love lost and found – except for the incriminating twist: in Maurice, it’s love between men. In 1952, homosexuality was still illegal in Britain and America, and in the US distributing obscene material via the mail was an imprisonable offence. So the typescript of Maurice was passed secretly, hand to hand, from E M Forster to his young friend Christopher Isherwood, who had the rights to publish Maurice in the States after Forster’s death. Bandi is the Korean word for firefly and is the pseudonym for an anonymous dissident writer still living in Korea. Hailed as North Korea’s Solzhenitsyn, Bandi wrote a series of stories in secret between 1989 and 1995 which are fiercely critical of life in the totalitarian North. In 2012, Do Hee-youn, a human rights activist, heard about this secret manuscript and that the author wanted it to be smuggled out of the country. Do engineered its escape from North Korea, hidden among works of propaganda glorifying Kim Il-sung, the republic’s founding President. It has now been translated into 18 languages and published in 20 countries. Nelson Mandela’s bestselling autobiography was published in 1995 after he was released from 27 years’ imprisonment on Robben Island in South Africa. But the book might not have seen the light of day were it not for a transcription of Mandela’s writing made by fellow inmate Mac Maharaj. Maharaj was part of a group of four prisoners who secretly collaborated on the first draft of the autobiography with Mandela. The copy in Mandela’s own hand was hidden in tins and buried in the prison vegetable patch, but Maharaj smuggled his copy out of prison, concealed amongst books and study papers. A double-smuggled manuscript, his copy then made it safely out of South Africa to the UK, and went on to form the basis of Mandela’s memoir. Sarah Dillon presents the Sunday Feature: Literary Pursuits – E M Forster's Maurice. Listen now. In-depth documentaries exploring music, history, science, philosophy, film, visual arts and literature. Radio 3's festival of ideas, with interviews, talks, debates, drama and live performance. Leading writers on arts, history, philosophy, science, religion and beyond, themed across a week. Radio 3's prestigious drama strand, with performances ranging from experimental works to the classics.